This Autumn marks the starting point of a large amount of childhood friends emigrating from Ireland to various parts across the world to live and work. From just over the pond to London, to further a field in cities such as New York and Santiago. 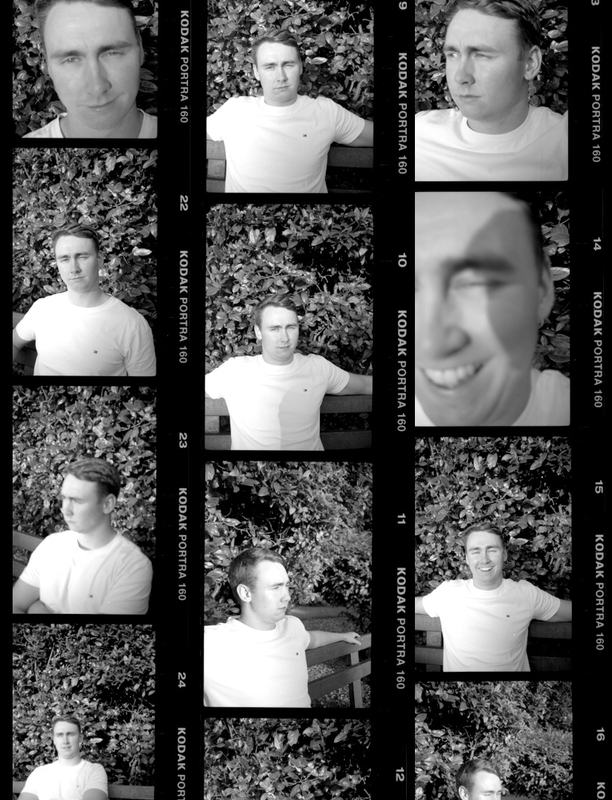 Through the following images I look to document two ends of the spectrum for a number of Balti Club members, providing an insight into the fleeting moments that are left for certain individuals on Irish soil, whilst also documenting those who have decided to stay put. 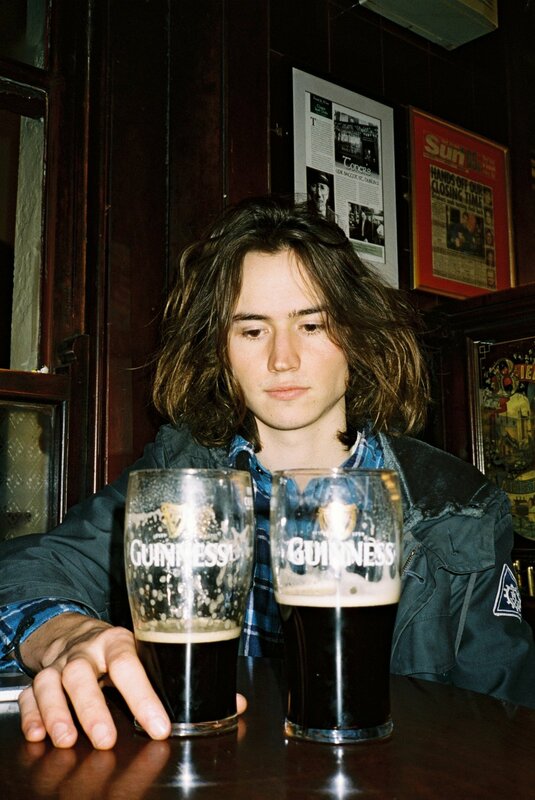 Sláinte is a nod to the young Irish who inevitably leave the comforts that home provides, as they venture out into the world. What is pushing you to leave Ireland ? Ireland is such a small place. It’s kind of said jokingly that if you know one person in Ireland you know everyone, but there’s a certain amount of truth to that, especially around Dublin. I love my city, I love Ireland too, everything about it, but I’m just at an age where I need to get out and see what else is going on in the world before I root myself too deeply here. It’ll be nice to be a stranger in a big city again, and have to figure it all out by myself. Do you think you have a strong attachment with Ireland and that you will find yourself missing home? Absolutely I have a strong attachment with Ireland, whenever I’m away for long periods of time it’s the place that I romanticize the most. But it’s funny in the way that I don’t really appreciate it until I’m deprived of it for a bit. I had the pleasure of meeting the Irish writer Collum McCann when I spent a summer in New York, and he told me that when he started writing, he felt like he had to leave Ireland to remember Ireland, and I think that’s a really nice way and honest way of thinking about it. There are just certain beauties and intricacies around the country that you don’t really think about or appreciate until you leave them behind. In that respect I’ll probably have my days when I’m missing home, but I’ll also appreciate Ireland a lot more for it, and savor the days when I come back to visit. What are you going to miss most about Ireland? The people, the family and the friends. I’m lucky enough to have an extremely tight knit group of friends, we’ve hung around for years and despite jobs and what not, we still get together every week and do a trip or two each year. However we’re all growing up a bit now, and this year five of us will have emigrated, me included, along with many more extended friends. It’s a bit sad when you see the effects of adulthood taking a hold on your friendships, you kind of don’t want to believe that you’ll grow apart, and maybe you won’t, but when people start emigrating it gets a lot tougher to get everyone together, and that’s probably the most daunting thing, the idea that I won’t get to see as much of my friends. So ye, I’ll miss the people around me most. Do you think its necessary for you to leave Ireland? I don’t think anything is necessary, I could absolutely stay in Ireland and never go abroad and continue to live a happy, comfortable life. I was extremely fortunate to get my dream job straight out of college, I love the work I do and it’s a job and lifestyle that I’m probably crazy to leave, but at the end of the day I’m doing this because I want to experience something new. I’m very comfortable in where I am in life right now, but sometimes it’s best to take a big step out of your comfort zone to grow a little bit more. Every time I’ve done that so far it’s paid off, so here’s to hoping the trend continues. One hundred percent, as much as I want to live abroad and move around a bit and try different places, I don’t see myself settling down anywhere but Ireland. What is pushing you to leave Ireland? I want to gain independence and experience by living in a brand new exciting place. As I am finished college, I want to develop some work and life experience in all sorts of areas and why not do it abroad when the opportunity is there? So its not necessarily that there is something pushing me to leave, its more of a desire and in my head a necessity. Absolutely. I love my Irishness. Extremely proud of my roots. Home will always be home and I'll definitely miss my family, friends and everything else. And my dog. I'll miss the people the most - everyone I'm close to as previously mentioned and just the general hoi polloi. You cant replicate the Irish humour anywhere else, so I will miss being around that. Being from Ireland and knowing everything and everyone is a real comfort. Acceptance in a place is a lovely feeling. But I feel leaving temporarily will almost increase my appreciation of Ireland because it really is a special country. For me yes most certainly, especially at this time of my life. But hopefully not forever. For my whole adult life I only really know what it is like to live here. So I personally believe it is actually important - if the opportunity is there - to try living away. Oh yes, I plan to. Having said that, I don't know what the future will bring and what scenarios will present themselves. What is the most fond memory you have from your years living in Ireland? Really tough to say as I've been here practically my whole life and so much has happened. Its impossible to say one in particular. I'll just say its all the times I have spent with some great people. The normal and banal aspects of Ireland are things I don't take for granted. They are very evocative and are kind of at the essence of our Irishness and sense of home. So that is a memory I will store away and one that is already a fond memory. It's not really a push away from Ireland, but more of a pull towards London. I think it's an important experience to live abroad at some stage, and I think now is the perfect opportunity for me while I don't have anything tying me down. Over the last few years I couldn't wait to finish college and leave Ireland, but now that the time is here I'm realizing how much I'll miss all my friends and family. I never thought i'd be one to miss home, but that has become clear to me now. Being able to spend time with family and friends on a daily and weekly basis. Not necessary, but an important life experience. I know i'd regret it when I'm older if I didn't go now. Is there a reason why you have decided to stay in Ireland? I’ve just finished a masters in music technology and want to develop on that and get more into producing. I fear if I go abroad I’ll be too distracted or too busy to give that proper attention. I also feel like I need to find a way to make a move abroad a step forward rather than just using it to defer thinking about a plan for my twenties, but then again maybe I don’t at all. We’re sometimes detrimentally career-obsessed in Ireland and there’s a lot to be said for just moving away for its own sake. Do you think you have a strong attachment with Ireland and that when you are away, you find yourself missing home? The longer I’m away the stronger it seems to get. I do find myself missing stupid things like the DART and the colour of tenners when I’m away but obviously family too. As much as all of that stuff is difficult it’s so much easier than it ever has been to keep in touch. Yes, for lots of reasons. Dublin is great if there’s good reason to stay but it can feel so stagnant otherwise, especially when your best friends leave in their droves. I could easily erode my twenties away in Dublin flailing in the wake of peoples’ departures, adapting my social circles and wondering what it would have been like somewhere else. If I stay, I’d very likely end up resenting things about Dublin that I’d have otherwise missed from abroad by the time my friends arrive home with fresh perspectives. One from recent years would be watching the sunrise from Dillon’s park in Dalkey on a really still morning. It’s such a beautiful part of Dublin. I want to see new things and meet new people post university. We do great things when we force ourselves to leave the comfort zone. Do you think you have a strong attachment with Ireland and that you will find yourself missing home ? Yes I have a strong attachment. I have lived abroad before and always start to miss Ireland coming up to Christmas time. The feeling of excitement flying into Dublin airport late December is one that is hard to beat. Family, Friends, Food. In that order. Yes. Part of my motivation is fluency in the Spanish language. I'm the type of person that needs immersion in order to progress. Classes in school and university didn't cut it for me. I'm gonna say yes, but when, I'm not entirely sure. I have really fond memories of various road trips around the country. There's always high spirits with a car full of friends heading on an adventure. Whether it be to Wexford, Waterford or Lahinch. It doesn't really matter where you're going , more who you're going with.